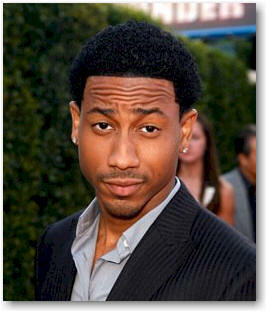 Brandon T. Jackson was born in Detroit on March 7, 1984 to preachers Bishop Wayne T. and Dr. Beverly Y. Jackson. One of seven siblings, he credits his father for his sense of humor, and says some additional inspiration comes from such icons as Sinbad, Martin Lawrence, Will Smith and Chris Tucker. Ever the class clown, Brandon's passion for comedy led to his doing talent shows and going onstage during youth nights at his family's church. By age 14, his career as a stand‑up comic had already evolved from local school shows to community projects such as the Motor City Youth Festival. After graduating from West Bloomfield High School, he headed to Hollywood to take a shot at showbiz as a standup comedian. Not long thereafter, he was discovered while performing at the Laugh Factory. Communicating with and motivating youth is a mission etched in Brandon's heart, so when not working he spends his time reaching back to help kids take their lives to the next level. 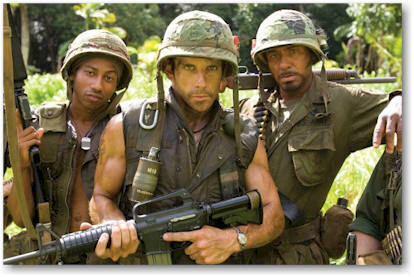 Here, the 24 year-old role model talks about his latest picture, Tropic Thunder, an action comedy co-starring Ben Stiller, Jack Black and Robert Downey, Jr.
KW: Hi Brandon, thanks for the time. 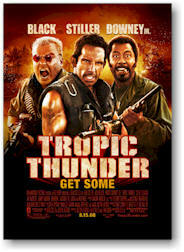 KW: Congratulations on Tropic Thunder! KW: What interested you in this role? KW: That's a lot of call backs. BJ: Yeah, it was a lot of work. KW: How was it being directed by Ben after that? BJ: When we got on the set, all this magic just started happening from there. It was great, man, because he's so intense, and he knows how to get what he needs out of you. As an African-American comedian, I was used to playing more to the punch line, and he showed me how to stay within the character instead of going for the joke. It was all magic. KW: So, did you have to stick closely to the script? BJ: No, I had to stick closely to the character. Any deviations or ad-libs had to be consistent with the character. KW: Did you feel like you were making an action film, a comedy, or both? KW: It’ll all probably be on the DVD. Did you have to adopt a special diet or training regimen for the rigorous role? BJ: Yeah, I ate plenty of potatoes and fish. I was only 22 at the time, and needed to get bigger to hang with the big dogs. So, I was lifting weights, and working out in Ben's gym. KW: How did you do when you appeared on Showtime at the Apollo? KW: What's it like trying to be a comedian when you're the son of two preachers? BJ: Hard. It's tough. You have to try to balance both worlds. But it's a job, and what I do in my personal life and my business life are two different things. It's like how if you're a lawyer and have to represent criminals, that doesn't mean you don't have certain core values. My personal beliefs are different from what I do for a living. In the final analysis, my job is to bring joy to people's lives. If they’re laughing, then it's not a bad thing. That's how I feel about it. I'm a comedian. KW: Do you ever feel pressure to work clean because of your folks? BJ: I did at first when I was kid. Now, it's a little weird when I perform in front of my father, and he sees me cussin’. I'm not really used to that, but at the same time, this is what I do for a livin’. You know what I mean? KW: Yep. Everyone calls you Chris Tucker's prot’g’. Who would you say are your main influences? BJ: Will Smith and Chris Tucker. KW: Are you thinking of doing your own TV sitcom? BJ: No, I want to stick to film. KW: Is there any question no reporter has asked you, that you wished someone would? BJ: That one right there. That's a good question. KW: Bookworm Troy Johnson wants to know, what was the last book you read? "Learning the game of power requires a certain way of looking at the world, a shifting of perspective," writes Robert Greene. Mastery of one's emotions and the arts of deception and indirection are, he goes on to assert, essential. The 48 laws outlined in this book "have a simple premise: certain actions always increase one's power ... while others decrease it and even ruin us." 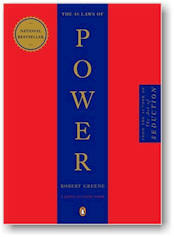 BJ: The 48 Laws of Power by Robert Greene. KW: That's the same book Mike Epps said he read last. The Columbus Short question: Are you happy? BJ: Yeah, I am. It's a good time in my life right now. KW: ’Realtor to the Stars' Jimmy Bayan's question: Where in L.A. do you live? BJ: Yeah, I'm afraid of failure. KW: Do you have website where fans can reach you? BJ: Yeah, www.myspace.com/brandontjackson and you can even put my phone number in the article, (323) 622-8110, if anybody wants to talk to me on my fan line. BJ: As one of the greatest comedians who ever walked the Earth. KW: you're from Detroit. What do you think of the city's embattled Mayor Kwame Kilpatrick? Should he step down at this point? BJ: He has to stop the b.s. now. It's too much. Come on, dog, you can't be doing all that. It's too hot, If he's going to step up and be a good mayor, then he should stop playing around. We need hope right now. The country has many serious problems which need to be addressed and too many politicians have failed us. Enough! Stop b.s’ing. KW: Do you consider yourself religious? BJ: How come only black reporters ask me that? Black and white people have a totally different view of religion. Of course, I believe in God, and I'm definitely a Christian, but at the same time, I'm in this business. So I find the question annoying, because I'd prefer to be able to keep my spirituality to myself. KW: The only reason I ask is because your parents are preachers. BJ: I hate to cut you short, but I have to go. KW: Well, thanks for the time, and good luck with everything. BJ: Cool man, I apologize. I never do people like this, but I'm really late for this other thing. KW: No problem, just promise me another interview with your next movie when you're a big star. BJ: I will. You got it.